As part of the Heritage Week festivities from Saturday 19th August to Sunday 27th August, Albert Fenton will deliver a talk on Jonathan Swift’s career as dean of St Patrick’s Cathedral. 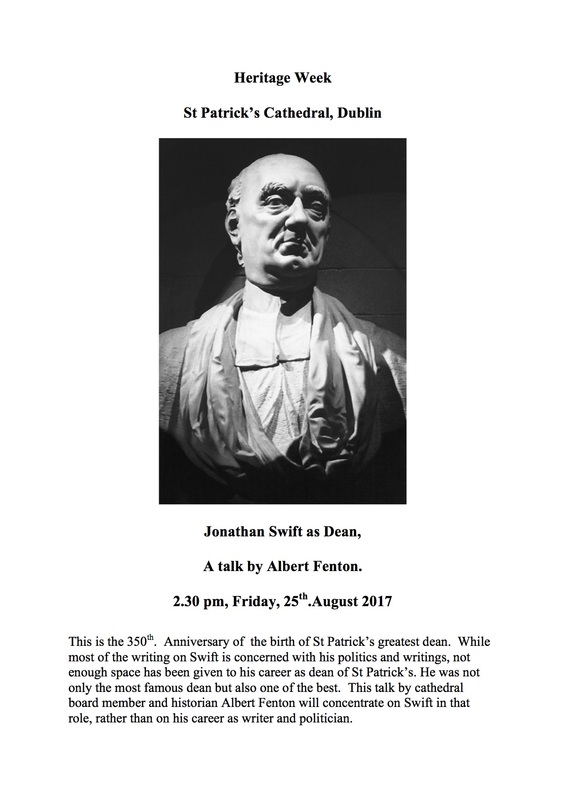 Given this is the 350th anniversary of the birth of Swift, this talk is a timely and welcome addition to the programme of events. Whereas Swift has become renowned for his political and writing abilities, this presentation will examine his career (and contribution) as dean of the cathedral. The talk will take place on Friday, 25th August at St Patrick’s Cathedral, beginning at 2.30pm. It is free to members of the public.